In March 2018, a 250-kg church bell was brought to the Lebanese capital city of Beirut. It had been made with a blessing of His Holiness Patriarch Kirill of Moscow and All Russia to be give as a gift to the community of the St. Nohra church in the Derya village (Maronite Church). Earlier, a request for its made to the Primate of the Russian Orthodox Church by Maronite Patriarch Bechara Boutros Cardinal al-Rahi and Bishop Mounir Khairallah of Batroun, who oversees the parish. By the Moscow Patriarchate’s special commission, the bell was cast by the Russian Bells Company, Voronezh. It was delivered to Lebanon with the help of the Lebanese-Russian House, a Lebanese public organization. 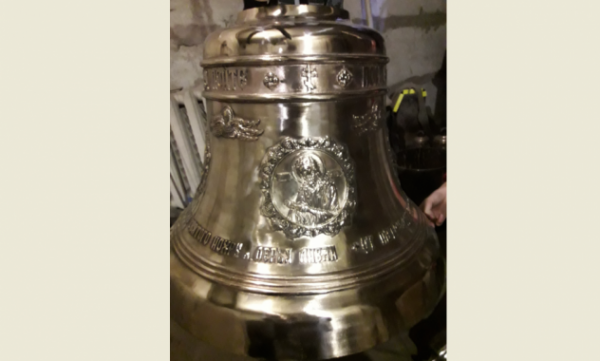 The bell bears the inscription: ‘A gift to the St. Nohra church in Derya village, Lebanon, from the Patriarch Kirill of Moscow and All Russia’. The solemn blessing of the bell will take place on April 21, 2018, in the presence of an official delegation of the Russian Orthodox Church.